While there are some new and wonderful ways to correct your teeth after they begin to erode, there are also several ways to prevent dental erosion from happening in the first place. There are several cosmetic dental defects that can occur from erosion such as discoloration, chipping and gum recession. In fact, gum recession can later lead to the loosening or loss of teeth. Aside from regular dental cleanings, brushing and flossing, there are some things you can do to help prevent or slow down dental erosion. Smoking is one of the first causes of dental erosion. It can cause your teeth to yellow and decay. Smoking tobacco products can also contribute to gum disease. Another thing to be careful with that you may not think of is tongue piercings. They can contribute to chipping in your teeth and even contribute to gum recession. Avoiding highly acidic beverages and foods can also help or rinsing your mouth with water after consuming these beverages or foods. Since saliva is part of what protects the enamel on your teeth, dry mouth can contribute to the erosion of your teeth. If you do have a case of dry mouth, you may want to ask your dentist for a recommendation for a restoring mouthwash. Drinking plenty of room temperature water can also help with erosion. A mouth guard of some kind would be best for the night time to help protect your enamel. For your teeth instead of brushing too hard, try to keep it soft and light and use a soft-bristled toothbrush two times a day. Focus more on making sure to get all the hard to reach places on your teeth and gums rather than trying to brush hard. Finally, make sure to check your medications. If your diet is too high in sugary and acidic products this can also contribute to dental erosion. Once dental erosion has happened, there are several things that can be done to help with maintaining the original appearance of your teeth. The cosmetic dentistry used will depend on the extent of the damage. For teeth that have more damage than re-mineralizing toothpaste can handle, such as a small dent to the enamel, dental bonding can be used to help restore the original look of your teeth. It is the small color as the tooth and can help get it back to its normal appearance and color. However, if the damage is greater than what even the dental bonding can handle, the next cosmetic dental option would be crowned. This option offers more full coverage for the tooth and will also help hide severely eroded teeth. 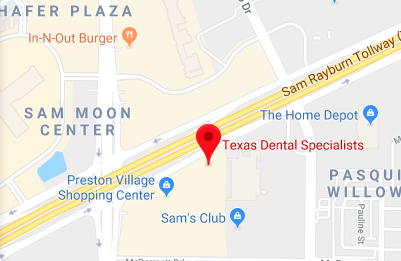 The role of a cosmetic dentist in Plano is to help you have the most beautiful smile possible. What many people do not realize is that we also have additional duties when it comes to taking care of your teeth, especially when you have a broken, cracked, or chipped tooth. There are three elements in a broken tooth that we strive to quickly correct. The first is the vulnerability of the tooth. When a tooth has been exposed to trauma in an accident or has experienced a fracture due to decay, it is vulnerable to an additional element of bacterial infection. The mouth is awash with oral bacteria, which under normal circumstances has no access to the root or pulp of the tooth. The second element that a cosmetic dentist is concerned about when it comes to your teeth, and a damaged tooth, in particular, is the element of function. It is easy to forget that the primary role of the teeth has to do with basic survival and sustaining the body. The teeth are the first step in digestion, meaning we have to ensure they are able to do their work of chewing and tearing food effectively. Often, when a tooth is damaged, it is the cusp of the tooth that takes the most damage. The third element is something people should associate with a cosmetic dentist, and that is the aesthetic elements of a broken tooth. A broken tooth is ugly, and having a tooth that is cracked, chipped, or damaged will lead you to smile less, which falls directly into the realm of the cosmetic dentist. There are multiple solutions for broken teeth, and some are more aesthetically pleasing than others. For example, when performing a filling, there is the choice of using amalgam, which is a silver-colored filling that clearly shows up or we can use a porcelain filling that matches your teeth perfectly. As a cosmetic dentist in Plano, you know we will always lean toward the better-looking option. If you have teeth you are unhappy with, modern cosmetic dentist make it easier than ever before to attain the smile you have always wanted. If you need a self-confidence boost, want a more attractive smile, or are concerned about health risks due to crowded teeth, we can help. We provide a variety of cosmetic dentistry procedures with the ability to improve your teeth. Learn more about the services we offer and how we can give you your best smile. We offer in-office and at-home whitening solutions that range in effectiveness and simplicity. We have options that can suit any budget while still providing you with whiter teeth by eliminating stains and discoloration. A simple teeth whitening cosmetic dentist can provide you with surprising results. These are only a few of our most common cosmetic dentist can improve the appearance and health of your teeth. Most of our treatments are minimally invasive and do not cause discomfort during or after the process. We use appropriate anesthetics as needed to offer you the most comfortable visit possible. You will be pleased with your improved smile and quick results. Our quality materials, products, and procedures provide long-lasting and beautiful teeth resilient to staining and wear. Being a cosmetic dentist, we correct teeth, one small adjustment at a time. The mouth is a very small space, and the spaces between teeth, which make the most difference to a person’s smile, are best measured in millimeters. This means that our work is also measured in millimeters, and often the best results are achieved over time with incremental progress. From straightening your teeth to whitening your teeth, these are all functions of a cosmetic dentist that take a certain amount of time and are undertaken in smaller increments. Taking a gradual and systematic approach to having the best smile possible allows us to work within many budgets and achieve virtually any goal, as long as you are willing to put in the effort and understand that the process takes time. As a cosmetic dentist, we see the wish list every day. This involves people who want a brighter smile, a more confident look, straighter teeth, less space between their teeth, an endless list of desires that our patients feel will give them the look, and confidence, they desire. The good news is that all of this is not only possible but likely to be achieved over a period of time. Our first steps would be to have a comprehensive plan which works backward starting at what you want to achieve and ending where we are today. This allows us to plot a course and use some of the incremental techniques that we offer to get the job done. Bonding: Cosmetic dentists can correct small chips in your teeth, cavities, and even some discoloration by using dental bonding. Dental bonding uses a tooth-colored material to fill in gaps, correct small chips, and even change the color of your teeth. In addition to being used for cavities, which can help with decay issues, and to correct smaller chips, bonding can also be used to remove unsightly gaps in the teeth by closing spaces or covering the entire outside of the tooth to change its shape. Bonding typically only requires one visit to your cosmetic dentist office to complete. Whitening: With the ongoing craze around having the perfect white teeth, a lot of products have emerged on the market that claim to have great results. While many of these do give you whiter teeth it is much better, and faster, to get your teeth whitening done by a trained cosmetic dentist. Using solutions of a much higher potency than is available in the general market, we can have your teeth whitening over the course of one or two visits to the dentist office versus several months of do it yourself treatments. Tooth reshaping: Sometimes a tooth has just grown to be an awkward shape. We can use the tools at our disposal to change your tooth, alter the length, change the shape, and even adjust the contour in a single visit to the office. This practice is commonly used in conjunction with bonding so that you leave our offices with a perfectly shaped tooth that looks amazing and, if necessary, we can use a dental veneer or crown to further alter its appearance. To find out which solutions will accomplish your smile goals, visit our cosmetic dentist office for an examination.